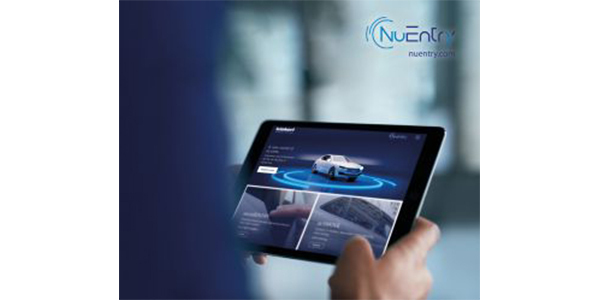 Kiekert AG, which provides automotive technology around locking systems, is now giving consumers a glimpse into the future of “autonomous” door technology on its NuEntry website at NuEntry.com , showing how automotive entry systems will look like in 2030. “Visitors to our NuEntry platform will find a selection of technologies and innovations that will make future vehicles more intelligent, convenient and versatile,” said Dr. Klaus Hense, Kiekert’s executive vice president for product development. One of these technologies featured on the NuEntry website is the latest generation of Kiekert’s actiMOVE. Most vehicle doors still must be opened and closed manually, despite the fact that automatically opened doors are part of everyday life at grocery stores, shopping malls and airports around the world. Kiekert’s door-drive system actiMOVE will automatically open and close side doors and is ideally suited for electric and autonomous vehicles currently under development by automakers throughout the world. Information on the actiMOVE door-drive system can be found on the NuEntry website at https://nuentry.com/product/actimove/.